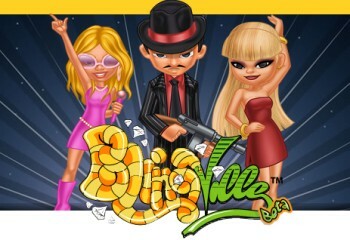 Zynga Claims Ownership Over All Things "Ville"
Zynga has fired off a cease-and-desist letter to the makers of the Facebook game Blingville, claiming trademark domain over the use of "ville" in social media games. Blingville is still in beta testing on Facebook and it's got a long way to go before it can even approach the likes of FarmVille and CityVille. But Zynga nonetheless seems to be doing what it can to stop the party before it gets rolling by sending a C&D letter to Blingville LLC claiming that the use of "ville" in the title infringes upon its social gaming trademark. The Blingville bunch isn't rolling over for it, however, and has actually filed a lawsuit seeking a declaratory judgment that the game does not infringe upon any of Zynga's marks, hoping to nip any potential lawsuits in the bud. "Zynga's assertions create a reasonable apprehension by Blingville that Zynga will file a lawsuit against Blingville asserting claims for trademark infringement," the lawsuit says. "Zynga's assertion of trademark infringement adversely affects Blingville and will continue to do so until this Court makes a determination of Blingville's absolute right to continue to use the trademark name 'Blingville' with its social networking computer game." Along with the declaratory judgment, the lawsuit also seeks legal fees, expenses and whatever else the Court deems appropriate. This isn't Zynga's first dispute over the title of one of its games but in the past it's been more of an infringer than an infringee. The company forked over an estimated $7 to $9 million to the creator of Mob Wars in 2009 for infringing on its trademark with Mafia Wars and was sued in August 2010 by Digital Chocolate, which released a mobile game called Mafia Wars in 2004.